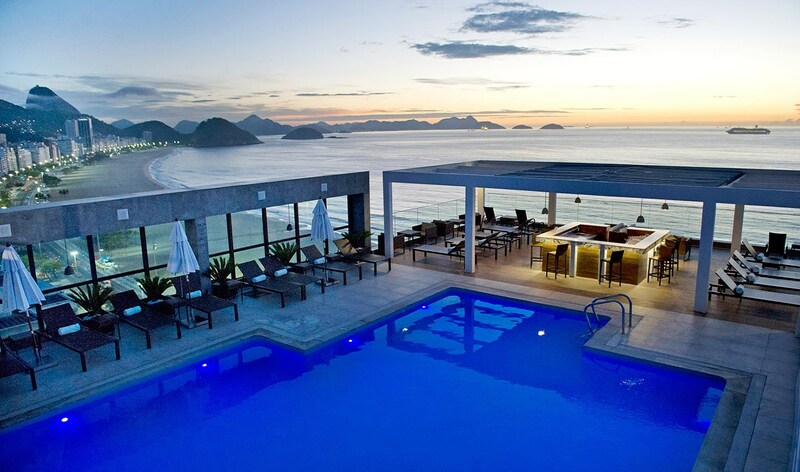 There are just too many fabulous rooftop pools along Copacabana beach to choose between, but the Pestana has to be one of our favourites. With panoramic views of the bay and Sugar Loaf Mountain, as well as a great bar, you might even bump into a celebrity or two! 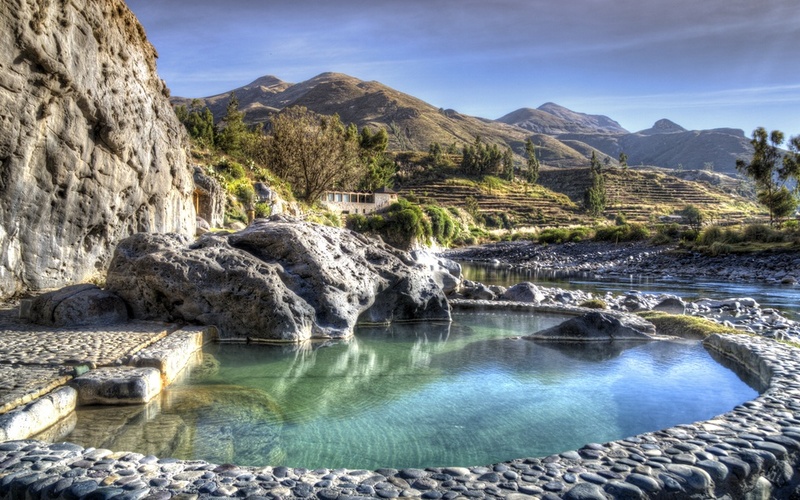 Get closer to nature in one of Colca Lodge’s thermal pools, on the banks of the river and fed by natural hot springs. The water is not only lovely and warm but rich in minerals that are beneficial to your health, plus, the view’s not bad either! It’s not so much the pool that’s special at Anavilhanas, but the location, set in the heart of the Amazon Rainforest overlooking the Amazon River, meaning you don’t even have to leave your rubber ring to experience some of the best wildlife in the world! If there’s one place you definitely need a dip in a swimming pool, it’s the Atacama Desert! 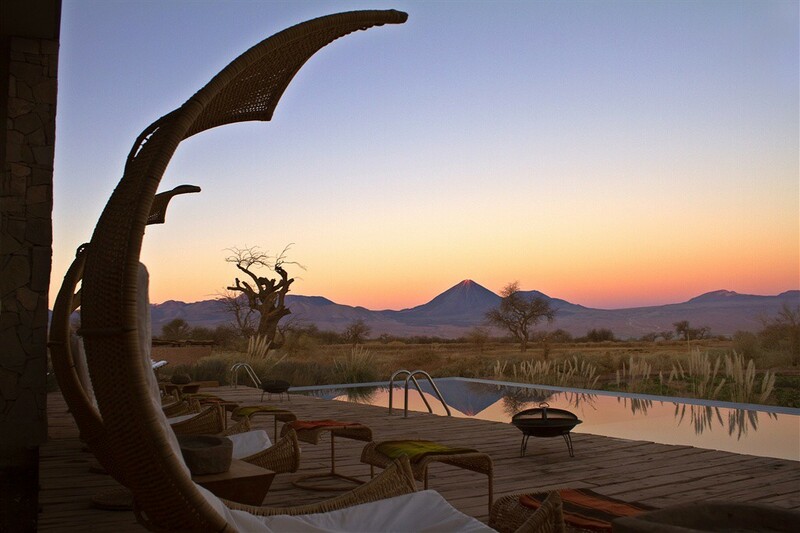 And with views of the Licancabur Volcano and comfy seats to lounge in, the Tierra has to be our favourite desert oasis! 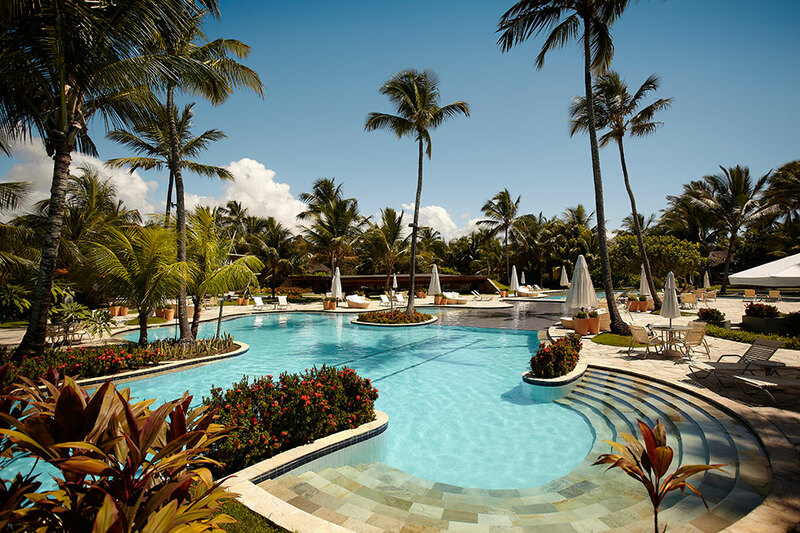 Located on the beautiful Pernambuco coast in Northern Brazil, the Nannai Resort offers a selection of pools to choose from. 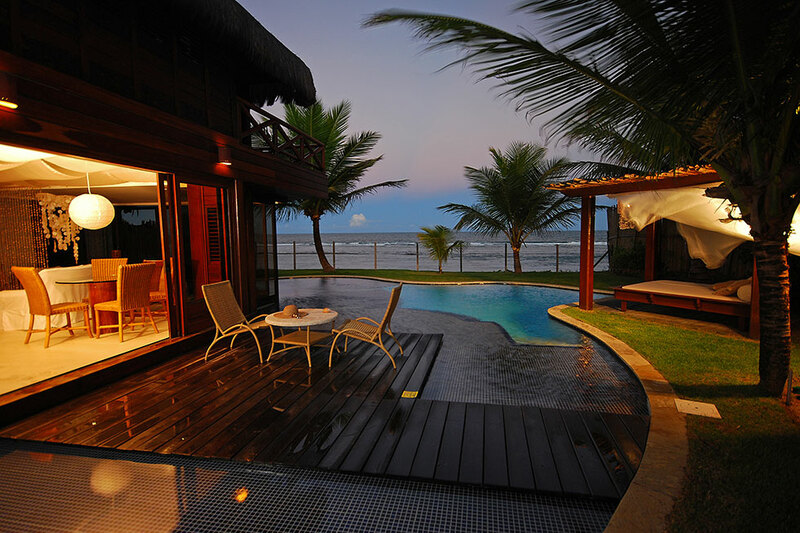 The main pool just off the beach takes in fabulous views of the Atlantic Ocean, while the spa pool is perfect for a relaxing, shady swim, but our favourite place for a dip is the private pool right outside your treehouse accomodation! 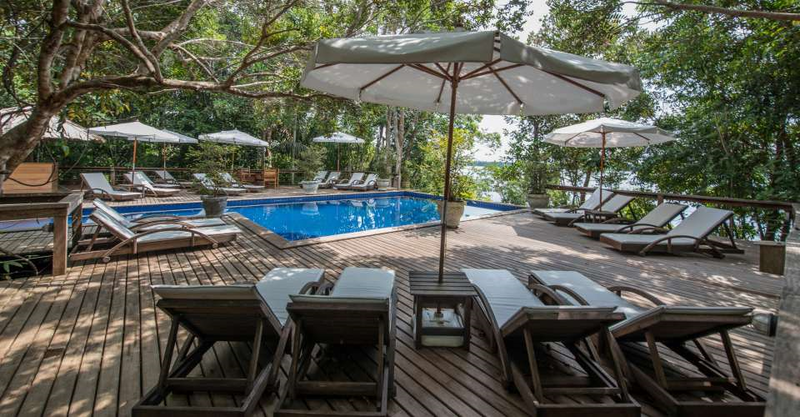 One of our favourite hotels for a trip to Iguazu Falls, the Loi Suites offer luxurious accommodation in a secluded jungle setting, making for a really relaxing stay. 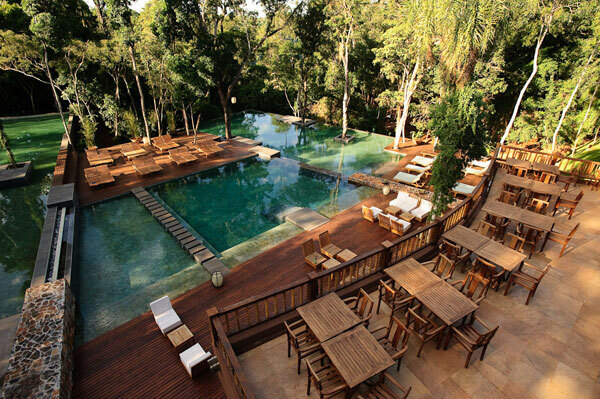 A series of wooden walkways slope into the pools, creating a little lagoon in the middle of the forest. 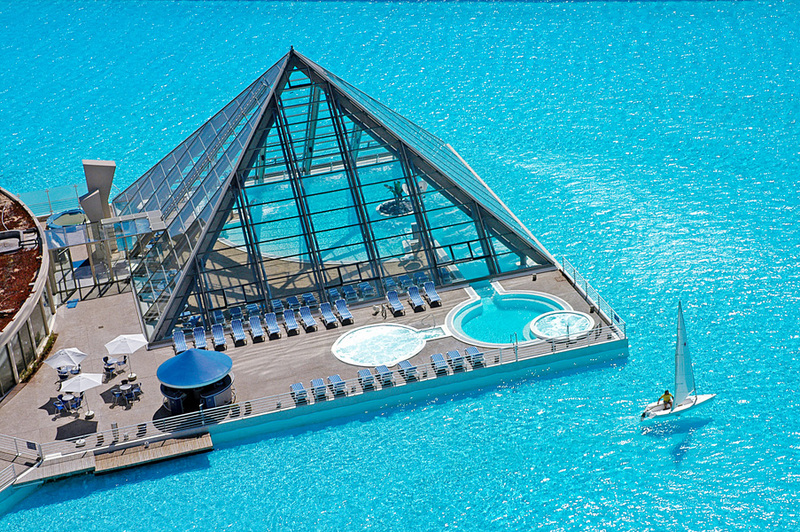 Although it may not be to our taste, the pool at San Alfonso is definitely impressive! Considered the largest in the world, it stretches over 1000 meters, covers 20 acres, and is filled with sea water from the Pacific. With plenty of wind surfers and kayakers, it’s not the best pool for relaxing in, but great if you like water sports! 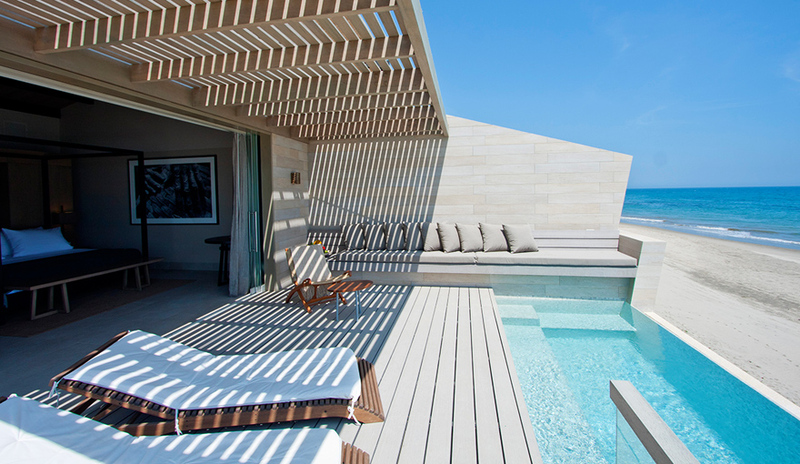 The ultimate getaway, Arennas Mancora has to be the most luxurious hotel in Peru, and one of our favourite honeymoon destinations! With a private jacuzzi pool for every suite, and amazing views over the Pacific, you’ll want to get married again and again! 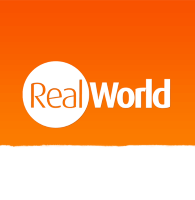 So after a sweaty few days spent trekking the Inca Trail or partying all night in Rio, it’s good to know there are some world-class swimming pools to float around in. So grab your swimsuit and dive in!